I love the idea of wearing these cutout pumps with a pair of patterned or colored tights. When I shop for shoes, the adjectives "basic" "simple" and "plain" never enter my mind. Even if what I need is a pair of basic black pumps, I end up looking at shoes like these. Some of these cost far more than the others. Would you splurge, save, or really save to be the owner of these shoes? 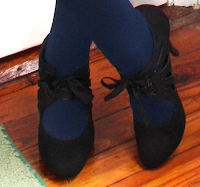 Here is a (kind of bad, sorry) close up of the Elle heels with navy tights. This is what I wore them with. 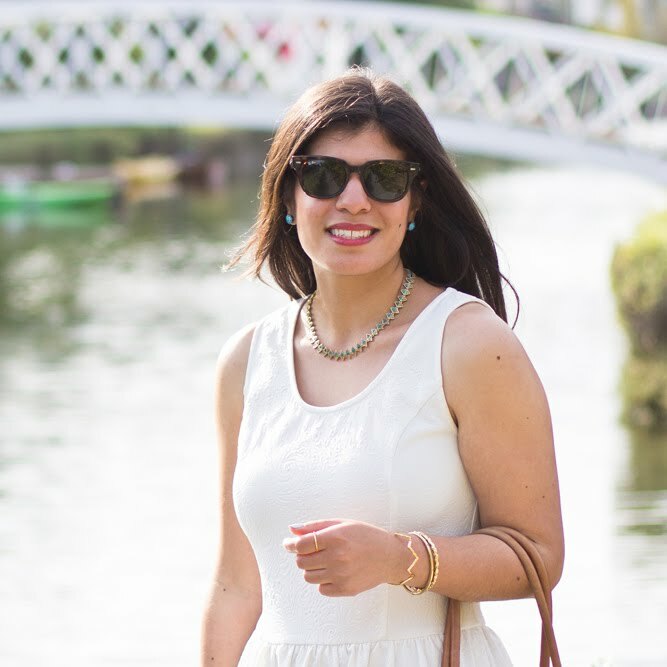 I always feel like a bit of a sailor when I put on the white and navy horizontal stripes, so I continued with the 'theme' and put on the mini skirt with the silver buttons. 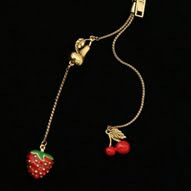 Here is a close up of my beloved Fruit Zipper necklace. ooh thanks for sharing! been eyeing the seychelles ones for a while now..
Ive been drooling over these Seychelles heels for so long! i'm craving that coclico owl pair but i have to say your kohl's pair is quite the steal and it's a lovely pair of shoes. :) love how you wore them with the navy tights! follow me, im following you too! Very cute! I love those Seychelles, but the Kohls pair looks great on you! Definitely a good steal. LOVE the Seychelles. They make the cutest shoes! Cute , I love the Seychelles, but the better price elle are cte too.